It's easy to set additional team members as account admins. As an account admin, you can set other team members as account admins as well. 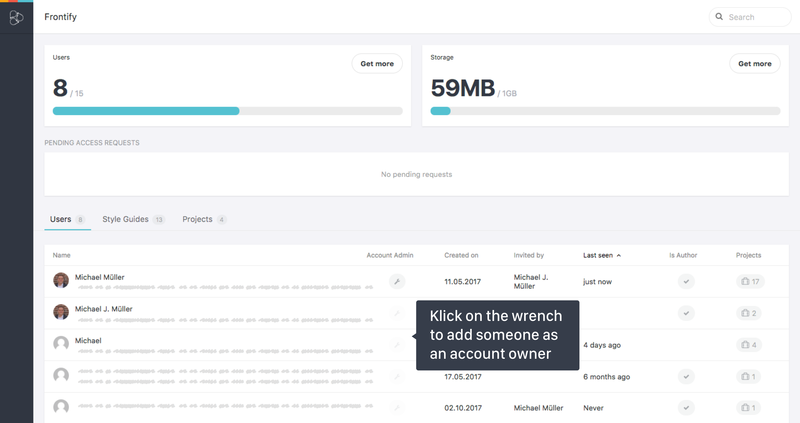 Simply go to the usage overview and click on the wrench symbol next to the person you want to set as an account admin. You can downgrade users to regular team members by clicking on the wrench symbol again. Just contact us if you need any additional information.